What Other Medications Can Be Used For Tear Stain Removal? If you have not read our series of articles about the major causes of dog eye stain, please read these first to get to understand the source of the problem. Once you know what is causing your Maltese dog's tear stains, it will be easier to find the perfect tear stain removal method. These solutions work well for Maltese that have excess tearing or dog allergies. 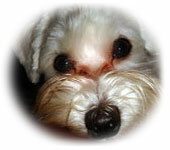 What tear stain removal solution worked for your Maltese? Tell us about it. Tried other dog tear stain remover methods and none work? Here are a few more solutions to Maltese eye stain. This is a powder you add to your dog's food. It takes awhile to completely remove all dog eye stains (about 3-5 weeks). You also must continue to use Angels Eyes regularly to keep tear stains away, but many dog owners believe it is well worth it and very easy to use. Check out all the positive reviews on Angel Eyes for dogs. 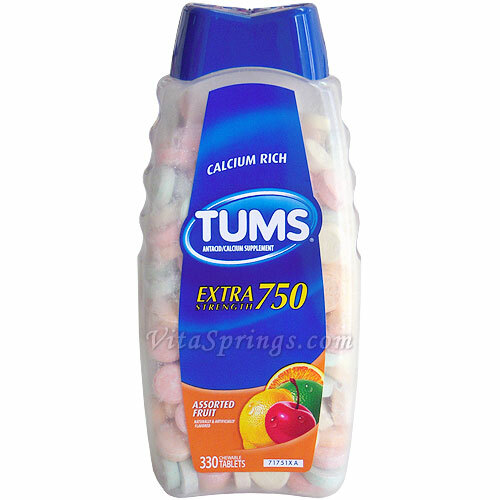 Giving your Maltese 1/2 of Fruit flavored Tums twice a day by mouth can help reduce tear staining. This changes the pH of tears and makes the environment hostile for the continued growth of yeast and bacteria. The active ingredient is calcium carbonate, so any other brand with 500 mg of calcium carbonate works well. This is a product that is placed in the eyes and works much like an antibiotic. Colloidal Silver is a natural antibiotic. I have not personally used it but know of others who swear by this. Check with your vet first. Put one to two drops into each eye daily. Still have questions about tear stain removal? I've teamed up with a group of expert dog vets to help you find the answer. Congratulations! You have completed the entire Maltese Eye Stain Solutions series. Do you know of any other solutions to dog eye stain? We'd love to hear about it! Share your best Maltese eye stain solutions with other Maltese Maniacs. << Can Antibiotics Cure Dog Eye Stains?